Fast forward 1915 years, and now the saying is modified into: A woman without perfume is like a gentleman without manners. Scarlett Johansson knows this very well, so when she was offered to be the face of Dolce & Gabbana The One fragrance, she grabbed the opportunity and never looked back. 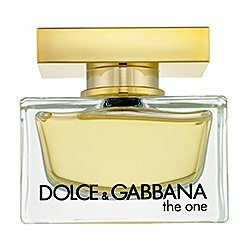 Scarlett Johansson proudly states D&G’s The One as her favorite to go frag. This is one of the most accomplished perfumes to ever hit the market. The One is a perfume for the woman that Scarlett embodies so perfectly. She is modern, with sensual features that make her unique. She has a face that screams innocence and a fire in her eyes that radiates passion. She has two sides that frequently collide. When she walks, she leaves a trail of desires behind her. She wants to be desired by many men, but to belong only to the One. She is blessed with style. Her perfume mirrors her personality: strong and unique, charming, fascinating, delightful. The One opens with notes of Bergamot, Mandarin, Lychee and Peach. The intention is to present the youthfulness and innocence, the traits that go hand in hand. It is the first stage of the perfume’s life cycle: young, girly, and effervescent. Fruity and fun! The next stage is much more exciting: the notes of Madonna Lily embody the stage of life where the woman is trapped between her desire for purity and adventure. A flower that just has opened and showed its beauty to the world. And the dry down is the real face of the perfume: Vanilla, Amber and Musk. So rich, and creamy. Mature, ripe femininity that slithers on your skin and settles into your heart. Like an expensive lingerie, it’s hidden behind layers of clothes, yet the reassurance it gives can be seen all the way from the moon.